Wow it feels strange to be coming back to Jenny and John in France, we have been Jenny and John in Portugal for some time now. But we thought it may be good to have a quick recap of what has happened in our life since we last blogged on here. We got married!!!!! 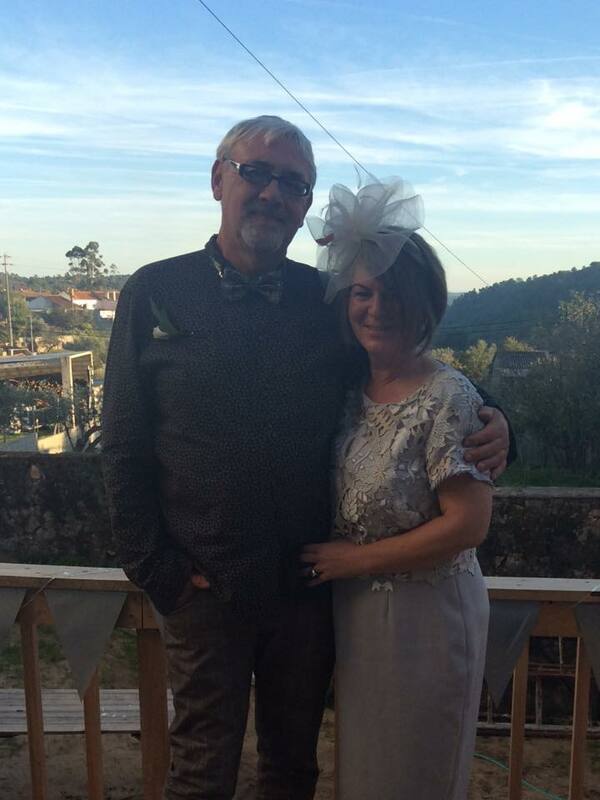 we had a beautiful ceremony in our new house in Portugal, with family there and a dinner in the local village restaurant. I am coming to terms with the officialdom and have managed to sort out our health care, social security numbers, tax numbers and register the care and by tomorrow we will have Portuguese driving licenses. We now have 2 cats, one that we adopted and then the one that our cat adopted, this was a bag of bones that he brought home and now is almost a member of the family, though if you move too quickly he will start dart out of the door. Our old manor house is almost finished, we have one more bathroom to install and the garden to finish, but we have just had a warm winter with windows, a bathroom and a working fire, I feel like I am in heaven! I celebrate my 50th birthday next year, this journey began shortly after my 40th and all i can say is, it has been one of the best decades of my life and heres to the next one.